Having right products as part of your daily skincare routine is very important. In today’s time when we are constantly facing harsh sun rays and pollution around us, it is important to have a good sun screen lotion or cream as a part of our daily skin care routine. 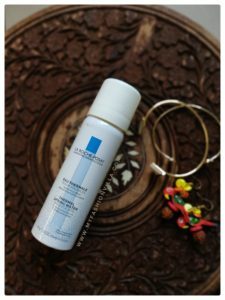 We have recently shared a detailed post about top Sun Screen (SPF) available in India and I am so glad… you all found it very helpful. However, I received some DMs and emails from those who are allergic to SLS and Paraben loaded products and looking for an organic sun screen lotion (SPF). 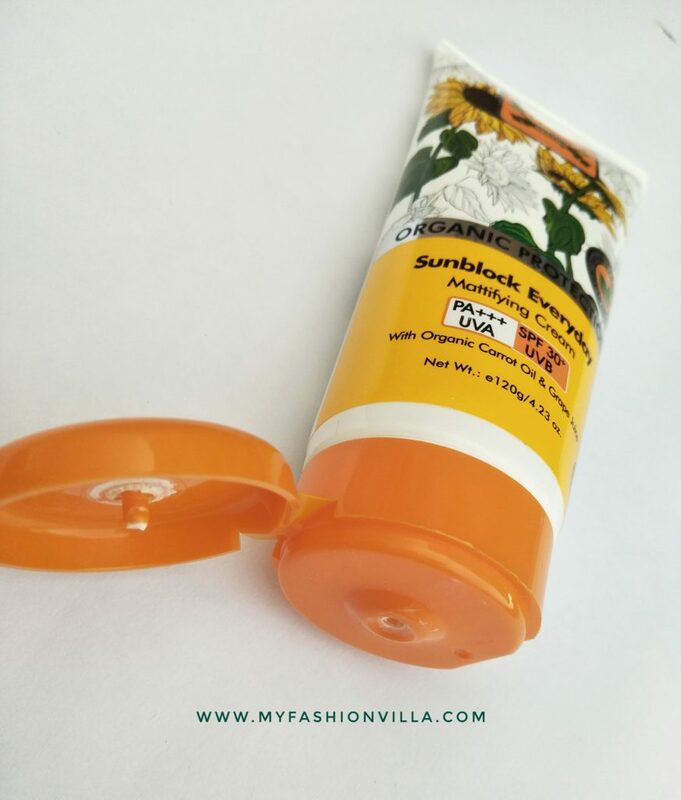 So today I am reviewing the sunscreen by TBC which is 100% derived from The Vegetable Mineral Kingdom and PABA, LIP and Silicone Free. 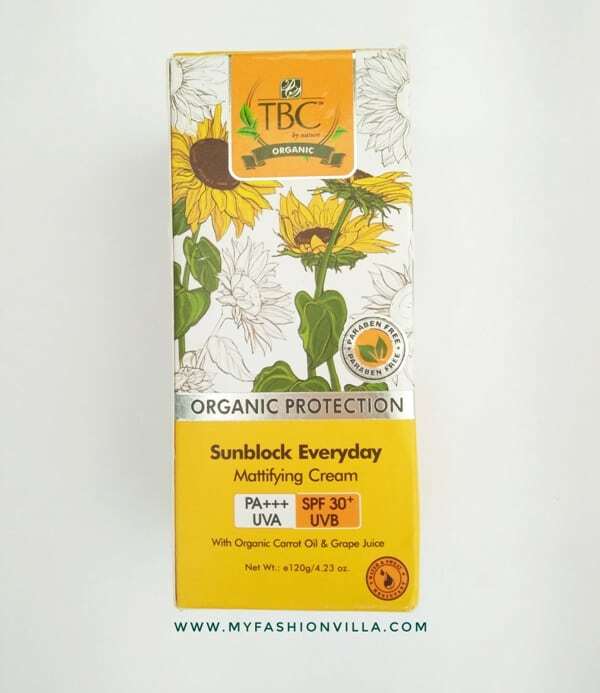 Read complete review of TBC Organic Sunblock Mattifying Cream with PA+++ UVA and SPF 30+ UVB today. TBC is not an unknown brand to us. We all are familiar with its name, quality, and products. 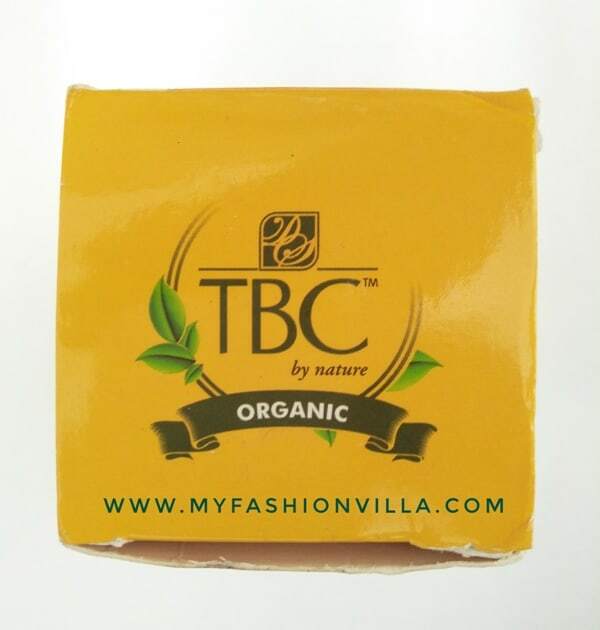 TBC by nature is a skincare and beauty brand which offers the “Organic” products and they are Silicon, LIP, and PABA free. The key points in its products are – they don’t contain artificial fragrance, have not been tested on animals and are Eco certified. Nowadays, it is tough to find such a good quality product with these major features in the market. 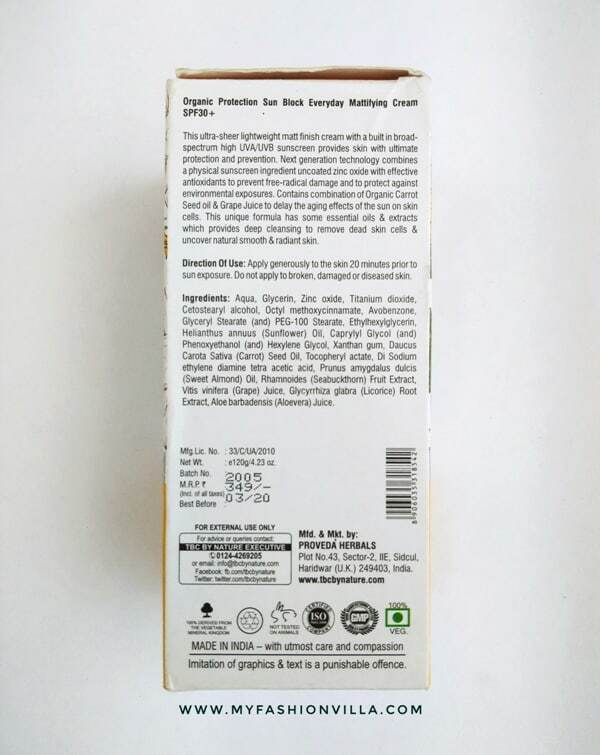 “TBC Organic Sunblock Mattifying Cream” comes in a cuboidal yellow and white colored box. The brand name, product name, and specifications are mentioned at the front side. The “extra benefits” of chemical free material are mentioned on the left side. 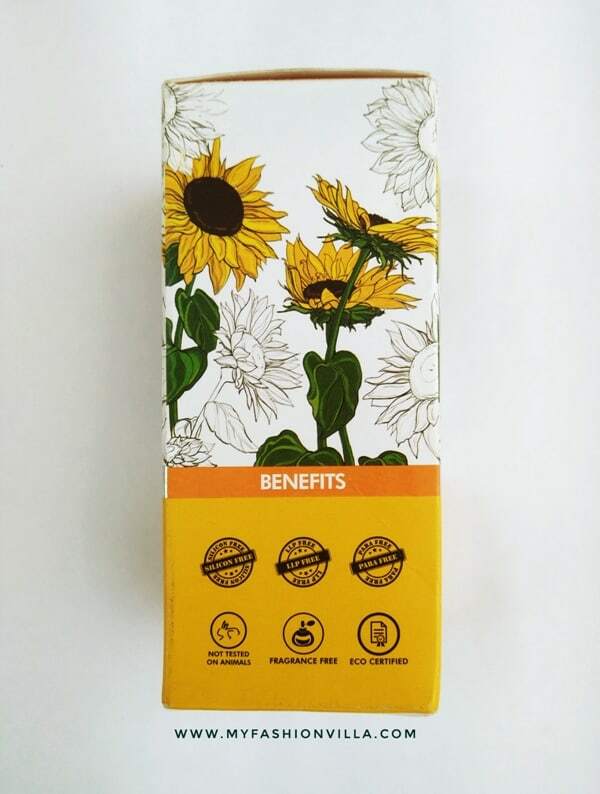 Ingredients, the direction of use, quantity, and price are printed on the right side of the box. The information on the box also says that it is “100% derived from The Vegetable Mineral Kingdom”. On un-boxing it, you’ll find a medium size tube with orange flip cap. The details are neatly printed on the tube as well. Its quantity is 120g and price 349 Rs. 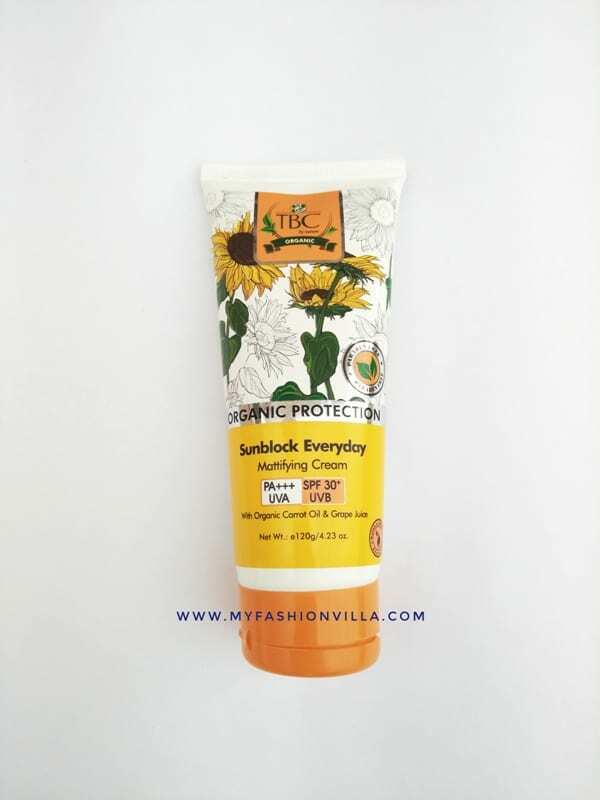 I have been using this Organic Sunblock by TBC for a month (approx.) now and I am ready to share my opinion for the same. As my classes and college timings are clashing every day, I don’t get enough time to take care of my skin, plus when you start travelling a lot in buses and by walking, you have to pay attention to your skin. I applied the Sunblock Mattifying cream 15 minutes prior leaving for college. 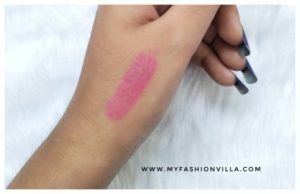 It gave an instant matte look to my skin and didn’t feel heavy. Its penetrating power is really good. 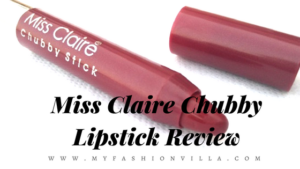 You would not notice any stickiness or oily finish on your skin. 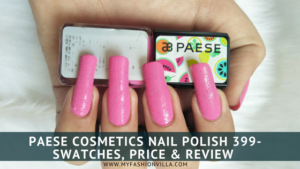 The texture of the product is quite soft and light. The lotion is white in color and is slightly runny. You don’t need to rub it many times, just one hand moment is enough to spread it all over the area. The fragrance is bit mild-milky and fruity. It contains “Organic Carrot oil and Grape juice” which helps in fighting the aging effects. In few other sunscreens I have noticed that, after 30 minutes of its application, my skin starts sweating but in the case of this Sunscreen, it did not happen. Further, it doesn’t even clog the skin pores. 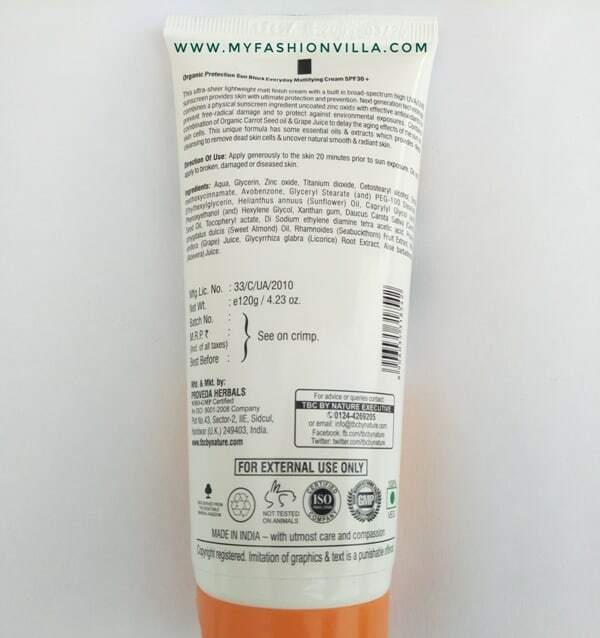 As per the directions given on the pack and my experience, you should apply this sunscreen 20 minutes before going out in sun. Don’t worry if by mistake you apply too much lotion because it gets absorbed quickly and works as a moisturizer too;) You can apply it on face, neck, arms, and feet or any body part which would be exposed to sunlight. Some of you might find it a bit expensive if you go with MRP of Rs 349 but online it is available for Rs 299 only. Note: If you have any kind of skin disease or allergy to beauty products then kindly discuss about the product with your doctor before using it. 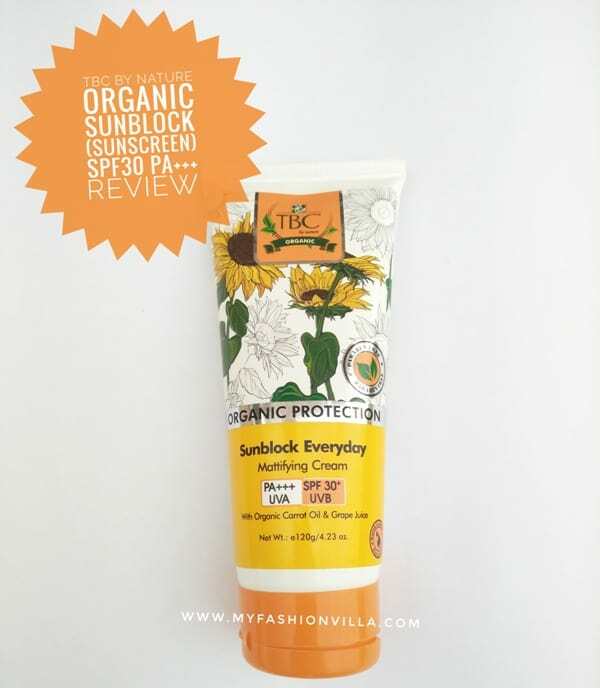 So these were my thoughts about TBC by Nature Organic Sunblock Sunscreen Cream SPF 30+. If you are looking for a sunscreen which should be PABA, LIP and Silicon Free, this is the right choice. Stay connected with us for some exciting upcoming posts!